Limited English proficiency and poverty prevent too many Southeast Asian American community members from receiving the care that they need. The traumatic experiences of war, genocide, and displacement left many Southeast Asian Americans with physical and mental health conditions that have gone untreated. Certain Southeast Asian American groups suffer disproportionately from hepatitis B and cervical cancer. Unfortunately, most state and federal health systems fail to tease out data on Southeast Asian Americans from “Asian Americans” overall, making it difficult to understand and address these disparities. SEARAC fights to protect access to affordable health care coverage and promotes culturally and linguistically appropriate health and mental health care to address health disparities for our Southeast Asian American immigrant and refugee communities. SEARAC also calls for the disaggregation of Asian American, Native Hawaiian, and Pacific Islander community data to equip communities and policymakers with accurate and targeted data-driven interventions. Our health work focuses on building the advocacy capacity of community-based organizations to advocate for systemic changes to deliver the health services our community needs. See more of our health-related news, reports, and fact sheets in our Resource Hub. In this webinar, health advocates review the attempts made in 2017 to repeal the Affordable Care Act (ACA), present key findings from SEARAC’s Protect Our Health Care comment card campaign, and discuss next steps and how community members can get involved. 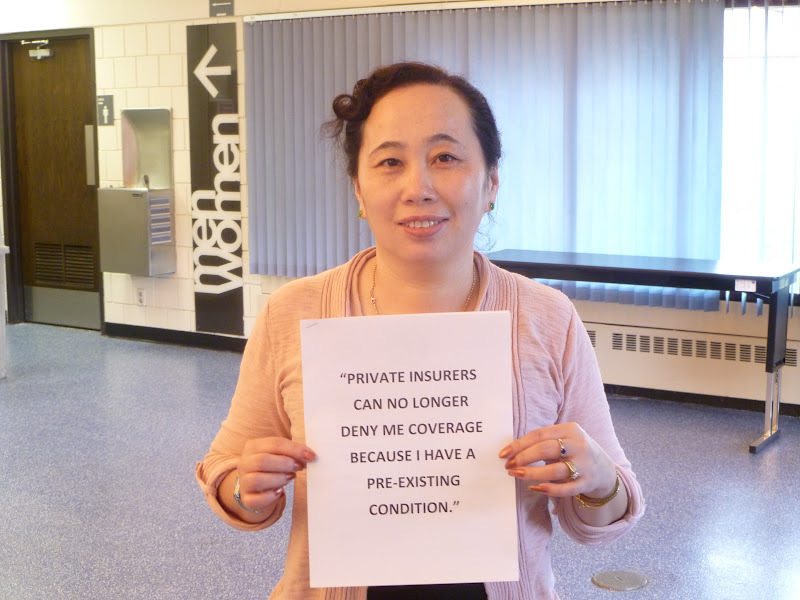 Report based on over 350 comments collected by Southeast Asian Americans across the country about why they support the ACA and Medicaid expansion. National Council on Asian Pacific Islander Physicians report from 2015. A census-data based report highlighting the health-related disparities among various Asian subgroup communities. Also known as CLAS standards, these guidelines are established by the Office of Minority Health. American Cancer Society. Includes disaggregated data showing the top five most common cancers for multiple Asian American sub-groups, plus Native Hawaiians and Pacific Islanders. Glossary of approximately 100 of the most frequently used and confused health care related terms in 12 Asian and Pacific Islander languages. SEARAC’s Southeast Asian Americans Protect the ACA and Medicaid Expansion comment card campaign mobilized over 350 community members to protect access to affordable health care. The ACA and Medicaid expansion reduced uninsured rates in the community by half between 2011 and 2015. Attacks on the ACA and Medicaid are attacks on affordable and accessible health care for the SEAA community. SEARAC will continue to collect and use community members’ powerful comments and stories to push champions to protect the ACA & Medicaid Expansion during repeal attempts.